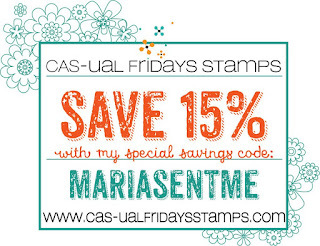 Hello CAS-ual Fridays fans! 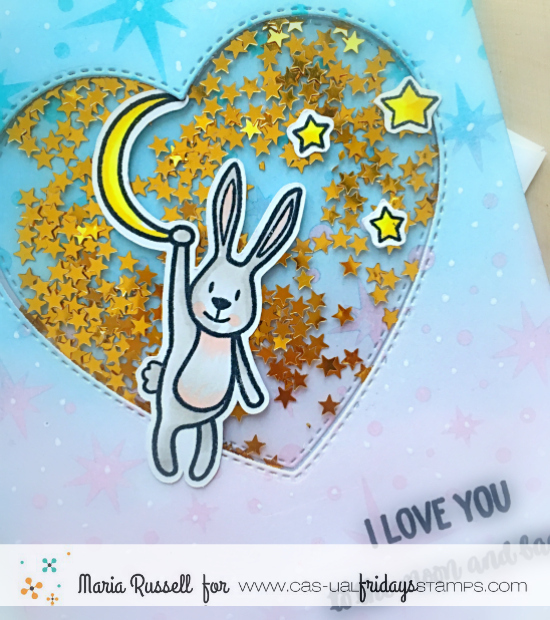 Maria here on the blog with you today and I am so excited to be sharing two cards with you for my first post in 2019. I wanted to create a shaker card for my first project. I inked up Some Bristol smooth white card stock with my distress oxide inks. I used a stencil from my stash to add the stars on the background. I then used a double-stitched heart die to cut out the middle piece. I adhered some acetate sheet onto the window and created my well using foam adhesive. 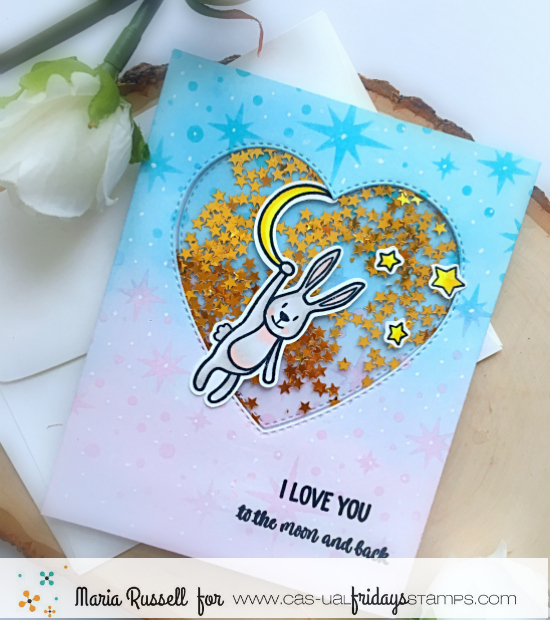 I added some gold confetti sequins and adhered this piece onto my card base. 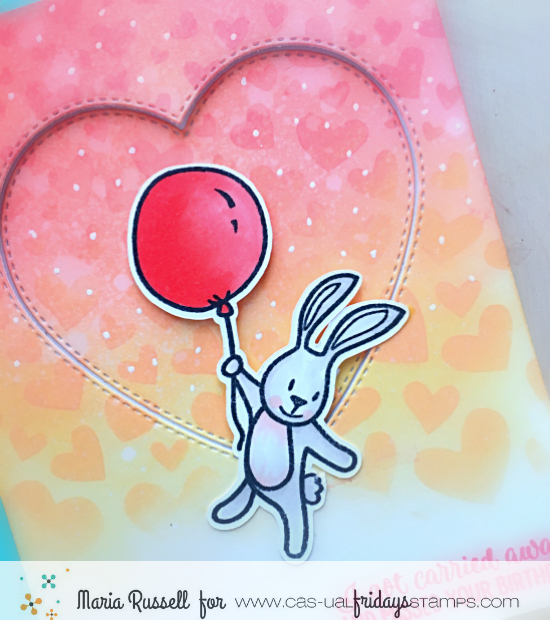 I stamped the two bunnies from the Somebunny stamp set with memento ink and I did some simple Copic coloring. I die-cut the images with the coordinating dies. I adhered the bunny on my foreground and added the little stars. 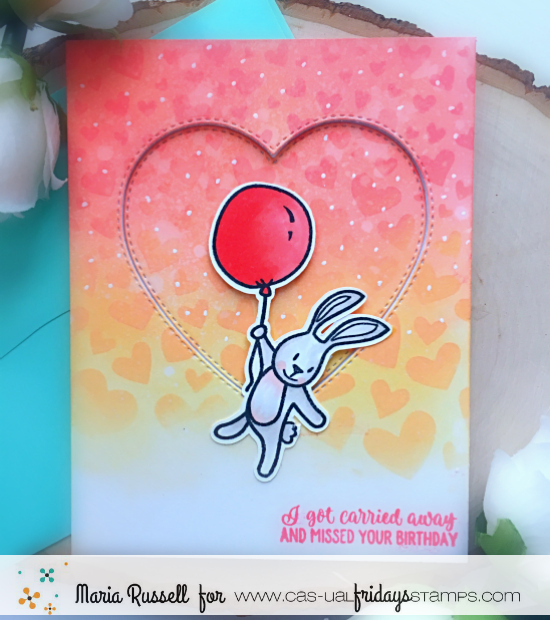 For my second card, I wanted to create the same design but use a different stencil. 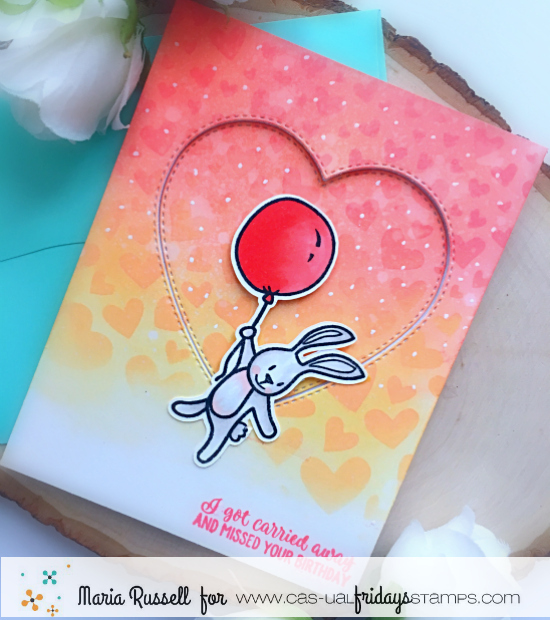 I used my Tumbling hearts stencil and inked up the background with my distress oxide inks. I used the double-stitched heart die again to die-cut the middle piece. I adde some foam adhesive onto the back of my colored background and adhered this piece on my card base. I also adhered the bunny with foam adhesive. I hope you like my cards today. Please don't forget to check out the sales going on right now at the shop. 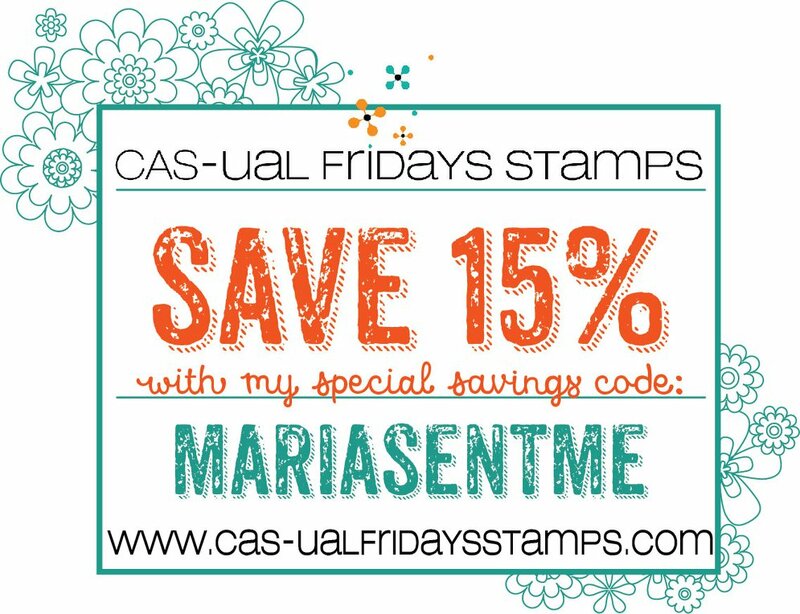 Don't forget to use my coupon code below to get an additional discount off your pruchase. Have an amazing day and happy crafting!